There are plenty of things to consider when choosing porcelain tile flooring. It’s important to take the time to consider the following factors when deciding which tiles are best suited for your home and the places you intend to install them. 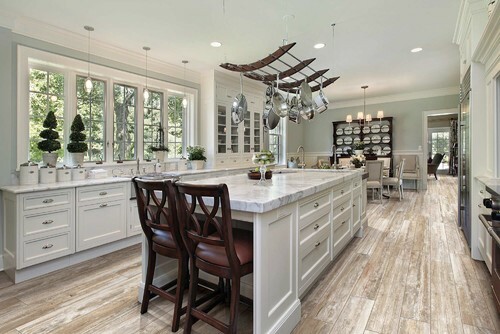 Start by checking the standards and selecting tiles that are suited for the ways you want to use them, i.e on the floor, the wall, or as a countertop. Floor and counter tiles should be resistant to spills, and you’ll definitely want to select a non-slip tile for flooring purposes. As part of this you’ll want to understand what class the porcelain tile falls into. There are five classes to choose from; and Classes 2 and 3 are designed for light-medium traffic flooring such as within kitchens and bathrooms. Finally, check the color. Glazed and unglazed tiles are available in a wide variety of choices, so pick the color that’s ideal for your home and decorating vision. The team at Conestoga Tile would be delighted to help you as you go about choosing porcelain tile flooring for your home. We invite you to contact us with your questions and to learn more about the products we carry.